Wednesday, 19 September 2018, 3:12p.m. The Commerce Commission has opened an investigation into Vodafone's "unlimited" mobile plan, a spokeswoman confirms. In July, the telco launched a new $79.99/month plan called "Unlimited Mobile." Like "unlimited" plans launched earlier by rivals Spark and 2degrees, Vodafone's "unlimited" plans has a number of limits. Speed is throttled down from 4G to 3G if a customer downloads more than 22GB of mobile data within a month. Streaming video is restricted to standard definition (480p) only at a time when most streaming video services - including Netflix, which is offered free for six months under Vodafone's "unlimited" plan, offer high definition (HD). And "tethering" to a laptop or using your phone as a Wi-Fi hotspot (so other devices can share its internet connection is not allowed). The restrictions are all listed on Vodafone's Unlimited Mobile promo page - albeit only after you click an link labeled "Important things to know." The question now is whether the "limited" factors are sufficiently prominent. The ComCom refused any comment while its investigation was open. However, a spokeswoman did confirm that Spark and 2degrees unlimited plans are not under investigation. A spokeswoman for Vodafone said, "We watched the market develop and grow in its understanding of and demand for unlimited mobile plans and followed our main competitors with an offer in July this year. We're working through the details with the Commission and will co-operate fully with their investigation." On August 9, the ComCom named telecommunications as one of its seven priorities for its year ahead, saying "In particular we will be focused on billing, contract terms, marketing and switching practices." The regulator already has two sets of legal action underway against Vodafone. On August 22, it laid 10 charges under the Fair Trading Act for billing beyond the date of some customers' notice period. A second action targets Vodafone's Fibre X marketing campaign, which the ComCom says is a misleading description of the telco's hybrid coaxial-fibre service. Vodafone is defending all charges. The ComCom is also assessing a complaint about a $5 monthly charge that was added to dormant accounts earlier this year. Former Spark no. 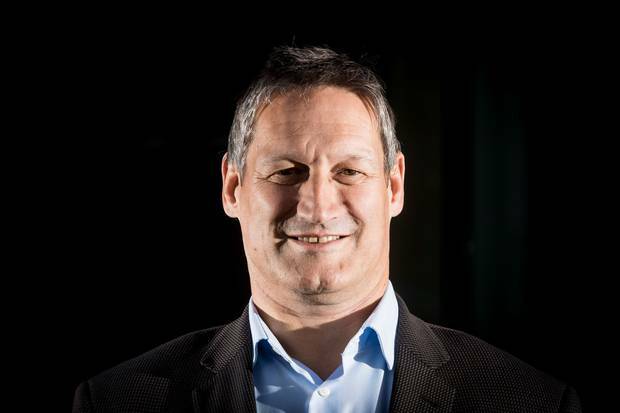 2 Jason Paris, who will take over as Vodafone NZ chief executive on November 2. Photo / Sarah Ivey. The unlimited mobile investigation comes at time of transition for Vodafone NZ. 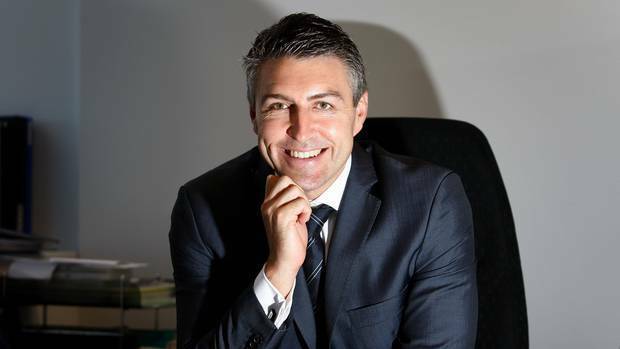 Former Spark number two Jason Paris is due to formally take over from the incumbent Russell Stanners on November 2 (though is already working from the telco's head office and billing himself as CEO designate). And former NZME chief operating officer Carolyn Luey has just been named to succeed Matt Williams as marketing director (industry rumours hold that Mr Williams is heading for Sky TV). The Herald queried the watchdog after its opposite number across the Tasman, the Australian Competition and Consumer Commission (ACCC), put Aussie telcos on notice. ACCC Chair Rod Sims has put telecommunications companies on notice to ensure their advertising is clear and transparent or face court action - including proceedings against executives who knowingly approve misleading advertisements. Earlier this year the ACCC began investigating Optus, Vodafone Australia and Telstra's use of the term "unlimited" to promote mobile data plans, concurrent with private litigation brought by Optus against Telstra in the Federal Court. The Court considered Telstra advertisements with the tagline "One word for Australia's best mobile network. Unlimited", and found they were misleading or deceptive in contravention of the Australian Consumer Law. The court found they falsely conveyed to consumers that Telstra provided plans offering unlimited usage of its mobile network when in fact its services, including mobile data services, were always subject to use limitations and exclusions. Justice Gleeson did not impose any financial penalty, but did order Telstra to stop using the phrase "unlimited" to describe its plan. "Telecommunications companies should be wary of using absolute claims like 'unlimited' where that does not give a true picture to consumers of what is being offered," ACCC Chair Rod Sims said earlier this week. The ACCC's assertiveness on unlimited plans is worth noting given its cross-pollination with our ComCom. ACCC commissioners Sarah Court and Roger Featherston both sit on the ComCom's board as associate commissioners.